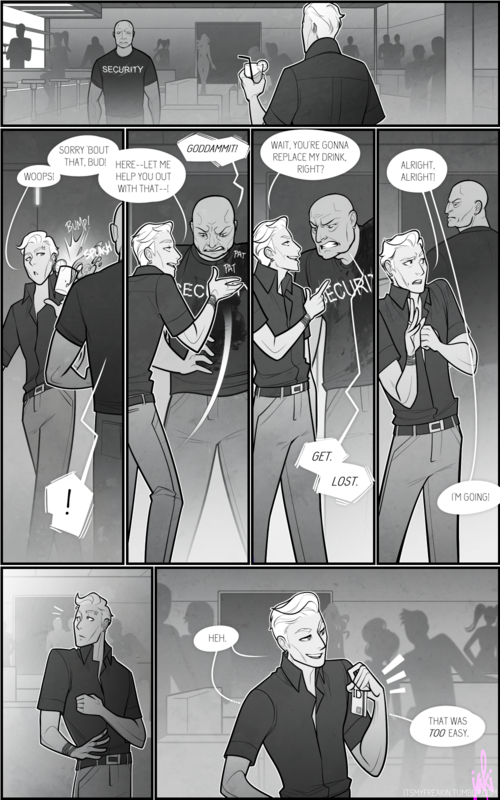 ...in which Ambrose pickpockets/is scolded by Mr. Clean a bouncer. Apologies for the delayed upload! Page 9 to come later this week! For more information, please visit my tumblr! Ha ha Good think Mr. Clean did not wear his usual white shirt this evening.